This is the reason that I avoided any type of voice training for most of my life. So many people told me, "Don't do it, it'll ruin your voice." I think there is something to be said for letting an artist get comfortable in their own voice naturally before trying to train it or teach them anything. Just playing around with their favorite songs, really learning all the intricacies of their voice without overthinking it. But if you continue that for a lifetime, you can do damage--and without GOOD training, you'll never expand your artistry. It's good to have some knowledge on your own too, before seeking a voice coach, so you know if they're leading you down the wrong path. Great article as always, Judy! yes, i agree, along with good technique,getting inside the song and meaning it is SO important! glaring when he sang "jazz standards". i couldn't stand to listen to it! and i'm i sick to death of the overdone melisma of the female pop vocalists-- cookie cutter! all the wonderful possibilities that voice can bring to a song, yes, it is wonderful to hear those being used by a singer in command of the instrument. Thanks and hugs to both Kelley and Kim... you DO understand! The goal is to make somebody FEEL something, with an instrument that's not hurting and can be free to be... ORIGINAL! 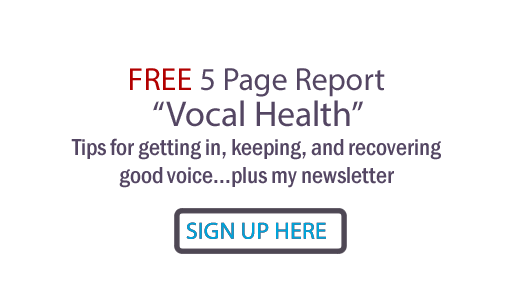 I came across this old post searching for info on Trent Reznor's vocal training, because I'm sitting here listening to him speak and was struck by how well he uses his voice to speak, as well as sing. Especially if you've heard him live, it is perfection, beginning to end, like everything he does. Intonation, quality, dynamics, everything; and he must have some knowledge for his voice to have survived 20 years of rigorous touring (not to mention all the drugs). Interestingly, I come here and along with Trent's mention, is another favourite of mine, Chino Moreno. His singing (and overall musicianship) has grown so exponentially over the years, I feel like a proud mom watching deftones grow up. I loved them when they were a rough screamy post punk metaly sorta band who listens to hip hop, and I love them now that they're sophisticated, nuanced, and incredibly beautiful. I am myself a classically trained singer.